« Is Obama Bush III on Education? This book by Malcolm Gladwell is still a best seller after 260 weeks. 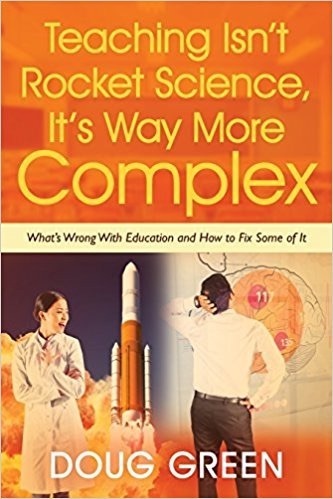 This summary explains how connectors, mavens, and salemen impact all phases of our lives and how these concepts can be used by educators. Also included are other interesting stories including how New York City reduced crime in the 1990’s. Click here to download the summary of this book. This entry was posted on Tuesday, October 6th, 2009 at 8:55 am	and is filed under Education Books. You can follow any responses to this entry through the RSS 2.0 feed. You can leave a response, or trackback from your own site. As usual, a concise, yet superb “discussion” of the book! For those of you who don’t know Dr. Doug – he is a charming, witty, funny, and wonderful educator. He has helped us in our district in many ways – and, he really understands kids! Thanks for the kind comment. I hope you continue to enjoy my work.